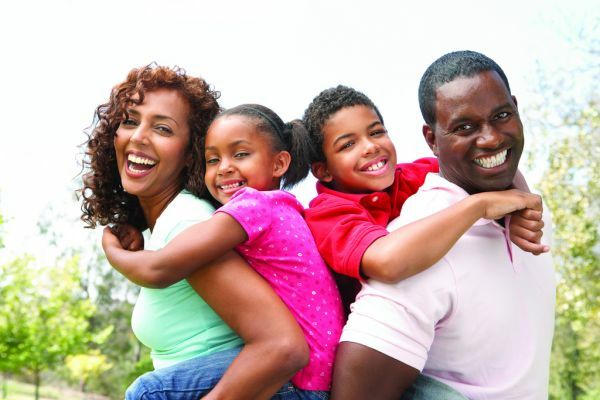 Family fun is what it is all about in the International Drive Resort Area! And there is so much new for visitors to explore. Even the parents get to be a kid again! Visit the attractions with the kids and then check into a spa, play a round of golf, have a relaxing dinner or an evening of entertainment. For an endless choice of activities, visit www.InternationalDriveOrlando.com. There is no better place than the International Drive Resort Area. In the center of the best that Orlando has to offer for family gatherings... six of the world's most famous theme parks (SeaWorld Orlando, Discovery Cove, Aquatica-SeaWorld’s Waterpark, Universal Studios, Islands of Adventure and Volcano Bay Water Theme Park), great restaurants, renowned shopping experienes, mega entertainment complexes, smaller family style attractions. What are you waiting for? At the world’s most popular tourist destination, there are endless activities for every member of the family. Spa treatments, golfing, the latest thrill rides, dining and non-stop entertainment. Tweens and teens are not forgotten with non-stop entertainment tailored to their tastes. Many hotels and resorts have day programs for the younger visitors. I-Drive 360's Orlando Eye has partnered with Coca-Cola. The newly named Coca-Cola Orlando Eye is part of the $200 million entertainment destination located in the heart of International Drive. The 400-foot, iconic observation wheel is the centerpiece of this themed complex featuring a dynamic blend of attractions, restaurants, nonstop entertainment and shops. USA Today Travel named it the second largest observation wheel at 400 feet tall. Read about it here. Skull Island Reign of Kong, at Univeral's Islands of Adventure, provides a journey deep into a mysterious island, swarmed by enormous prehistoric predators. Check it out here. And also open: The Incredible Hulk Roller Coaster. Check details. The Toothsome Chocolate Emporium & Savory Feast Kitchen has opened at CityWalk. Read all of the yummy details here. Stories to tell when you get home! Fly high day or night to 400 feet in one of 30 capsules on the Orlando Eye. Pose for photos with your favorite moviestars, musicians, sporting greats and historic icons cons at Madame Tussauds. Enjoy nightly live entertainment at Tin Roof along with a menu influenced by generations of American music culture. Get your chocolate fix at Chocolate Kingdom and learn how chocolate transforms from the bean into the creamy, dreamy chocolate bar. At Aquatica - SeaWorld's Waterpark, experience Omaka Rocka, a water thrill ride featuring high-speed tubes and half-pipe funnels that'll have the kids splashing and sliding frontward and backward and climbing the walls. The gators have arrived at Fun Spot America with Gator Spot, a 15,000-square-foot extension of Gatorland. The addition includes three ponds to house baby gators, giant gators and crocodiles. A separate building houses a white gator. See big name entertainment at Hard Rock Live. View I-Drive upside down at WonderWorks. Relive history at Titanic-The Artifact Exhibition. Dive in with the whole family at the I-Drive YMCA & Aquatic Center. Solve a mystery at Sleuths Mystery Dinner Shows. Release your inner pirate at Pirate Dinner Adventure. Journey to Antarctica SeaWorld Orlando and have a Penguin Encounter. Go behind the scenes, beyond the screen, and jump right into the action of your favorite movies at Universal Studios Florida. Head for the track at I-Drive NASCAR Kart Racing with a half-mile indoor track and environmentally friendly electric karts. Laugh until you cry at Orlando Improv Comedy Club & Dinner Theatre. Save money dining, playing and shopping! Pick up an I-Drive Visitors Guide with valuable coupons. Glow in the dark at Putting Edge Glow-in-the-Dark Mini Golf at Artegon Marketplace Orlando where psychedelic neon landscapes light the way and pumping tunes set the mood for fun. What's a Muggle to do? Make your way to Hogwarts castle at the Wizarding World of Harry Potter at Universal Studios Orlando! Creep yourself out at Ripley’s Believe It or Not. Skydive indoors at iFLY Orlando. Plan an overnighter at SeaWorld and sleep next to dolphins, manatees, penguins, coral reefs, sea turtles or beluga whales. For more attractions news, visit here. And be sure to check out details to assist with your vacation planning. I-Drive Official Visitors Guide: With map, Trolley information and more than $500 in coupons. Call toll free at 866-243-7483 or visit www.InternationalDriveOrlando.com. Transportation: Leave the driving to us! Take the I-Ride Trolley Service: It's the exclusive transportation mode for the International Drive Resort Area. Service operates from 8 a.m. until 10:30 p.m. daily. Taking the Trolley will save families dollars while traveling around the I-Drive Resort area stress free. Fare: Single cash fare, $2.00 per ride; child cash fare, $1.00 per ride (ages 3 to 9 with paying adult); senior cash fare age 65 and over, $0.25 per ride. Unlimited ride passes are available: one-day pass, $5.00 per person; three-day pass, $7.00 per person; five-day pass, $9.00 per person; seven-day pass, $12.00 per person; 14-day pass, $18.00 per person. Ask about special room rates. When calling a hotel for reservations, ask about the property’s “best” rates for the season, AARP, AAA. Family dining without going broke. It can be done! Have the largest meal at lunch. Prices are less. Then go light on dinner. Check for coupons that allow kids to eat free, two for one meals and other deals. When looking for a restaurant, ask about special offers that might be available. More: When booking your hotel, select one that offers free breakfast. Have a hearty start to the day, snack for lunch and use a coupon for dinner. Make sure the room has a refrigerator for storing drinks and snacks! Tip: Check out a meal at the world’s largest McDonald’s PlayPlace! Yes, the largest in the world. It’s an attraction in itself! For information on planning a family vacation in the International Drive Resort Area, visit www.internationaldriveorlando.com. For information on the I-Ride Trolley and downloadable maps, visit www.IRideTrolley.com.